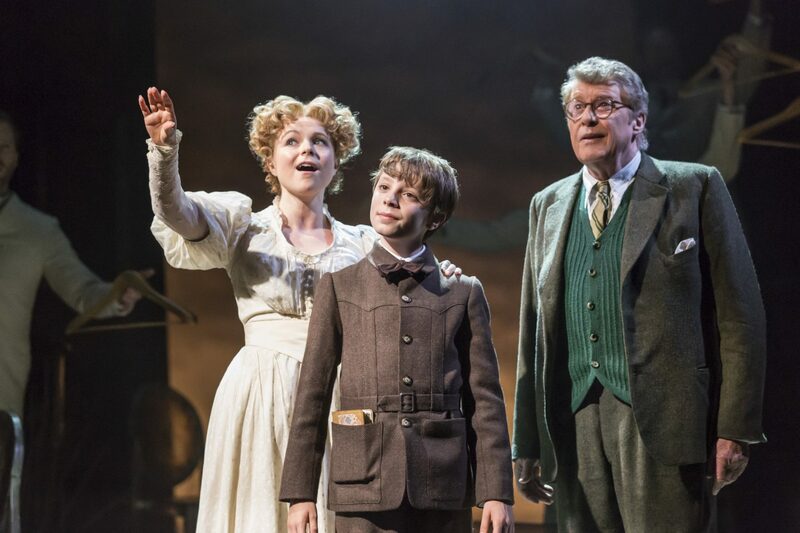 Michael Crawford’s legendary name leads a stellar cast in the new West End musical, The Go-Between. The L.P. Hartley novel set in the early 1900s has been adapted into many formats, including one for the stage, however you’ve probably never seen the story presented quite like this. Despite a bold attempt, the musical doesn’t quite hit the mark emotionally, but it’s not one to dismiss completely. 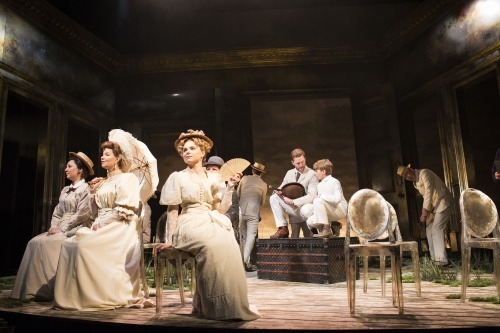 The Go-Between tells a remarkable tale of the young Leo Colston who finds himself messenger involved with an illicit relationship; a classic story of the aristocratic girl falling for the working-class boy. Looking back on his life, an aging Leo attempts to understand how events unfolded as he tries to make peace with his past. David Wood makes an excellent attempt with a captivating story but the flow isn’t quite right and I struggled to invest emotionally. Some parts seem to drag where others aren’t explored to their full potential. When the ensemble come together they produce something beautiful, unfortunately implying a climax that never seems to arrive. It’s a shame these sections aren’t sustained as they, and other fine scenes particularly the one depicting Marian’s struggle, show the production has potential, but when the plot concludes it left me wanting more. Saying that, the presentation is fantastic; Michael Pavelka’s set is simply exquisite, suiting the piece and setting the tone from the start. 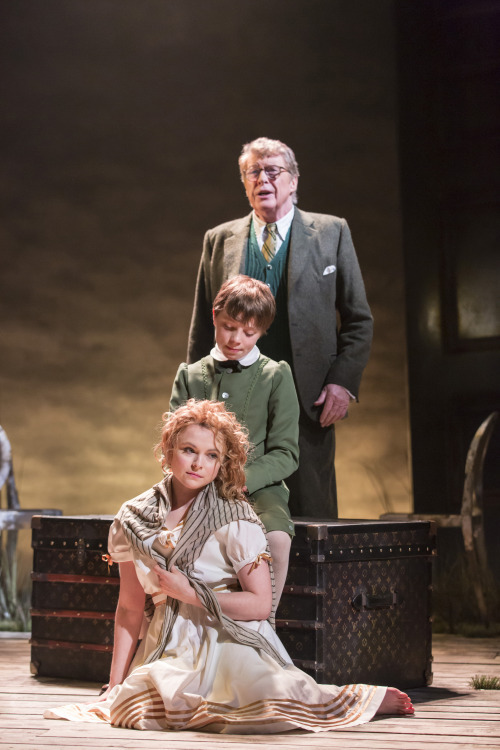 Hats off to Roger Haines for his direction as the staging is this musical’s best quality. Although beautiful musically (with just a grand piano as accompaniment) some numbers would benefit from a couple more instruments to build effect. Michael Crawford suits his role as the older Leo Colston. His voice is of course renowned, but I wanted a little more emotional range at times. There are some superb performances, particularly with the gorgeous vocals of Gemma Sutton as Marian. Luka Green is charming as Leo, and works well with Michael as his future self. On the whole the strength of the cast is to be commended; they thrive together with intricate movement yet shine individually in character. The Go-Between has all the elements of being a stunning piece of theatre but unfortunately didn’t quite achieve it. Maybe a few tweaks would improve things but overall it’s a good show with some outstanding qualities that need to be developed. The Go-Between runs at the Apollo Theatre, London until October with tickets available online. This review was made possible by the Stagedoor App.